I wasn’t aware of this, but Avis has partnered with WeDriveU to offer Avis Chauffeur Drive service for $36.80 an hour, with a three hour minimum, not including the cost of the rental. If you make use of this service before December 31, 2010, you can earn 1,500 bonus AAdvantage miles. Hiring a chauffeur is probably not something that everyone will want to do, but if you’re in New York for a day on business, and the schedule is tight, it’s a lot cheaper than spending $80 an hour with a typical car service, and if your times is valuable, it’s a lot more productive than waiting for a taxi or riding the subway. Convenience: Take calls, prepare for meetings or relax while your chauffeur navigates. WeDriveU will pickup and return your Avis car and drive for meetings, golf, a night out, sightseeing and more. 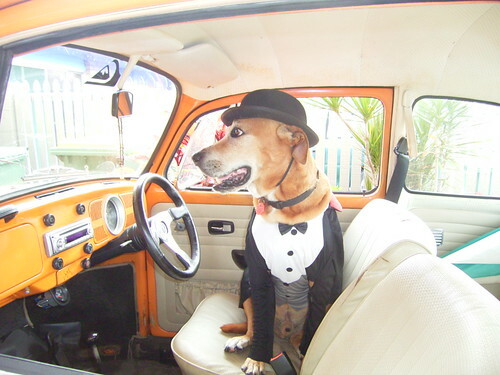 Cost Savings: Pay for a chauffeur only when you need one. 30 – 40% less than a limousine/sedan service. Safety: Eliminate distracted driving with insured & certified chauffeurs. Low profile: Understated transportation suits your image. Offer: The next time you travel, enjoy a worry-free trip with Avis Chauffeur Drive by WeDriveU – the perfect way to get to your destinations. Be driven by a chauffeur in your Avis rental car for a few hours or a few days. 1,500 bonus miles valid on a qualifying rental of one or more consecutive days at participating Avis airport locations in the U.S. that participate in Chauffeur Drive. Avis Chauffeur Drive must be added to rental and three or more consecutive chauffer hours must be taken in order to receive bonus miles. Bonus miles offer valid on all car groups. An advance reservation is required by calling 800-272-5839. The savings of up to 25% off car rental applies to the time and mileage charges only. Please mention coupon number MUAA109 to take receive bonus miles offer. Offer may not be used in conjunction with any other promotion or offer. Renter must be an Avis Preferred member. Rental must begin by December 31, 2011. Chauffeur Drive applies to rental of of 3+ consecutive chauffeur hours in a single day. Chauffeur rate excludes cost of Avis vehicle, gratuity, gas, tolls, parking and other charges. Not valid for contract accounts. WeDriveU bills client directly for chauffeur. Avis bills directly for vehicle.